The global conference, sponsored by the Equality Forum, a Philadelphia-based LGBT organization, will highlight the status of gay rights in Cuba. 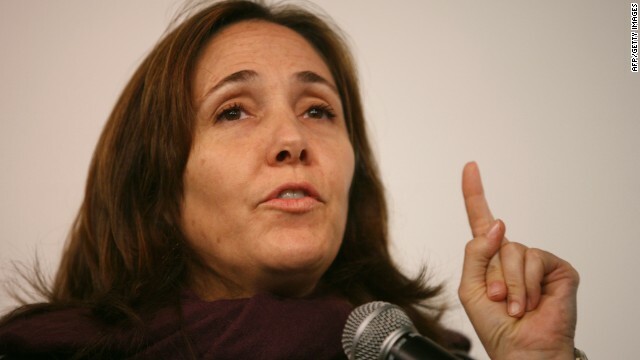 Contacted by CNN on Monday, the organizers said they had not received official confirmation that Mariela Castro would attend. She is scheduled to take part in a panel discussion on May 4 and to receive an award from the Equality Forum as an "International Ally for LGBT Equality." Terzo figlio si accigli貌, egli 猫 anche un esperto, vedere Xing in realt脿 anche una posizione dominante. Quest'uomo 猫 Dio livello infantile, ah, questa 猫 una super forza come a fare lui portate qualifiche straordinarie, note come ingenuo, ma guardare indietro prima della materia e quindi con un rapporto di Xing, sono semplicemente un paradiso e un sotterraneo semplicemente non paragonabile. Jenna scattato! Jenna scattato! Jenna scattato! ...... Una telecamera ha squillato. Zhou Dongfei testa deviato un pennacchio di linee nere, talune merci 猫 molto depresso. she wants to lobby for gay rights in Cuba ? what about lobbying for basic human rights in Cuba? There is not one good reason on earth that the U.S. and Cuba cannot normalize relations and move on, none at all! Our current policy toward Cuba is nothing but stupidity at it's very worst! Back in 2009, Raul Castro offered to Barack Obama to release some 219 political prisoners in Cuba in exchange for 5 Cuban nationals held here on charges which they may or may not be guilty of. For the sake of being politically correct, Obama blithely ignored the whole thing! Hitler was an advocate for animal rights, but nobody remembers Adolf Hitler for his kindness to animals. This is what I call a step in the right direction, however small it may be. I guess that a lot of ignorant people here are going to say otherwise as usual. As long as she leaves when the visa expires who cares?